The US Supreme Court has sided with the Trump administration, upholding the travel ban it had imposed on seven Muslim-majority nations. In a 5-4 ruling the conservative majority of the top judicial body made the final decision in one of the first major controversies of the current presidency. The ban, which was enacted in September 2017 by an executive order of President Donald Trump, as well as two prior versions from March 2017 and to January 2017, was instantly challenged and blocked by several lower US courts. Banning travel to the US from countries which were deemed as posing terrorist threat under the Obama administration was one of key promises of the Trump campaign. Critics see the restriction as anti-Muslim and based on a false estimate of the threat posed by the people affected. Trump called the ruling a "tremendous victory" and said the Supreme Court decision represented the "final word" on the travel ban. 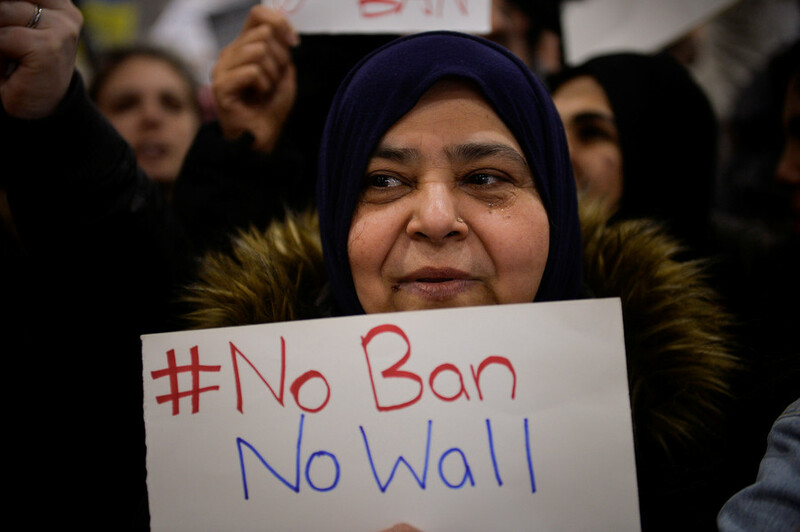 The current version of the ban has been in force since December and targets Iran, Libya, Syria, Yemen, Somalia and North Korea, and some people from Venezuela. Chad was on the initial list, but was later removed. The hearings on the case started in April. In the Tuesday decision, the Supreme Court ruled that Trump acted within the scope of presidential authority when he issued the travel restrictions. Democrats were quick to register their disappointment with the Court's decision. Rep. Keith Ellison (D-Minnesota) said in a statement that the ban "undermines the core value of religious tolerance on which America was founded." Rep. Richard Neal (D-Massachusetts) said in a tweet that the Supreme Court "endorsed discrimination." "The president’s travel ban doesn’t make us safer, and the Supreme Court’s ruling doesn’t make it right," said Senator Chuck Schumer (D-New York) "This is a backward and un-American policy that fails to improve our national security." The president’s travel ban doesn’t make us safer, and the Supreme Court’s ruling doesn’t make it right. This is a backward and un-American policy that fails to improve our national security. As condemnation poured in from the left, the ban's supporters celebrated a "victory for security." The Supreme Court’s travel ban decision is a great victory for the security of the American people and the rule of law. Congress has delegated to the president clear, unambiguous authority to suspend the entry of aliens into the United States.